Located on the Gulf of Mexico, tourists are drawn to the Greater Fort Myers area for its white sand beaches, sleepy demeanor, and nautical influences. Visitors who enjoy the water can go boating, fishing, canoeing and kayaking. Fort Myers also has plenty of nature preserves and parks for those who enjoy biking or walking. The city has a population of 77,146 and is ethnically diverse in its makeup between white, Hispanic, and African American. The greater Fort Myers area is family-friendly, with many residential neighborhoods, schools, and parks. Fort Myers has an active business community and its revived River District is lined with historic buildings from the early 1900’s, transformed into modern day restaurants, shops, and a cultural arts center. Each year, residents of the Greater Fort Myers are injured in accidents, many times through no fault of their own. Whether your accident is the result of a distracted driver on the road, a spill left on a grocery store floor, or potholes in a parking lot, injuries sustained can be severe and life-changing. If you have been the victim of an accident, contact the Greater Fort Myers personal injury lawyers at the Wolfson Law Firm. If you’ve been injured and are unable to work or need to seek medical attention, contact our Greater Fort Myers personal injury lawyers to find out what your options are. If you or a loved one has suffered injuries or a fatality as the result of an accident and you or your family would like to speak to our Greater Fort Myers personal injury lawyers, contact The Wolfson Law Firm at (239) 777-9954 for a free consultation. Why Contact a Fort Myers Personal Injury Lawyer? Wondering what legal options you have? Have serious questions? Contact the Fort Myers personal injury law firm and lawyers at the Wolfson Law Firm at (239) 777-9954 for a free consultation. When injured in an accident, it is important to seek medical treatment quickly to prevent further injury or harm. Injuries that appear relatively minor can cause great damage and pain if left untreated. It is always best to consult a health care professional to be certain of your medical condition. Victims that have been physically or psychologically injured as the result of someone else’s actions in Fort Myers may not be able to work, seek medical treatment, or repair damaged property. Learn what your options are. Seeking representation will help personal injury accident victims to receive the compensation needed to recover from the accident and get on the path to restoration. If you or your loved one has been the victim of a personal injury accident, contact the Greater Fort Myers personal injury lawyers at the Wolfson Law Firm at (239) 777-9954 for help. 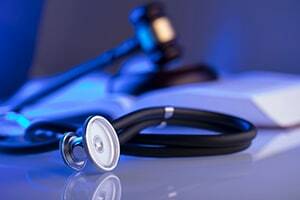 The Greater Fort Myers personal injury accident attorneys at the Wolfson Law Firm can help you and your loved ones to get on the path of recovery. We can discuss available options and guide you through the process. Call our Fort Myers personal injury law firm at (239) 777-9954 today.